Doors are constructed using 3/4″ x 2-1/4″ solid wood rails with mortise and tenon corner joints. 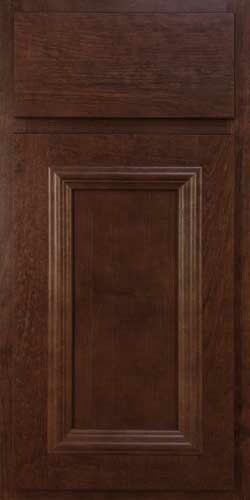 Doors use a 1/4″ veneer center panel. All center panels are held in place using space balls that enable wood expansion and contraction. A 1-1/4″ decorative molding is applied to the door frame.